Updated, original owners, open floor plan, smoke free, spacious end unit in the Sterling Hills neighborhood. There are new hardwood floors on the main level, stainless steel appliances, eat in kitchen with a walk-in pantry. The expansive living room has space for a formal dining room and home office. Upstairs one bedroom has its own personal balcony with mountain views! Perfect spot to kickback, relax and enjoy the views. 3 Bedrooms, 2 bathrooms, 2 balconies and laundry upstairs for added convenience. Oversized 2 car tandem garage with additional space that could be used as a workshop, workout area or storage and utility sink. There is a smart garage door opener with cameras as well. Bonus mudroom as you come in from the garage. Great location just off of Tower Road and Sterling Hills Parkway. 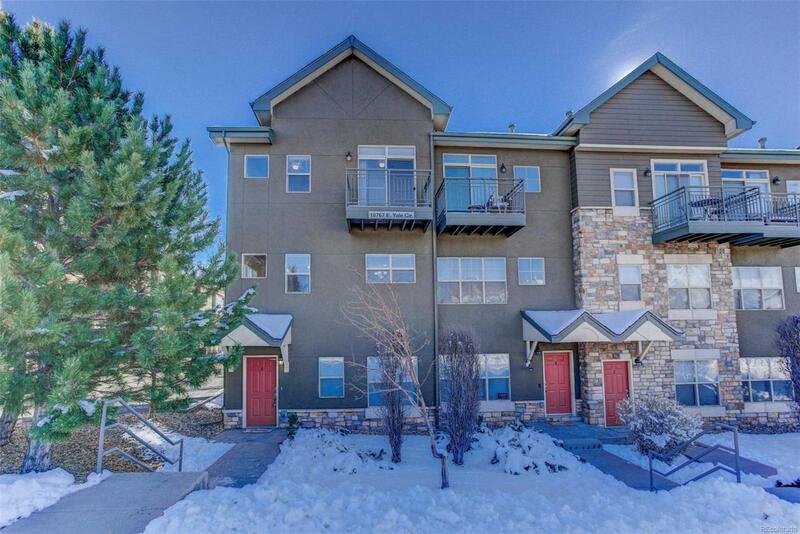 Close to restaurants, grocery, Movie Tavern, bike paths, Southlands, E-470 for DIA and Buckley Air Force Base.